THQ Nordic has been busy this past year, no question. After acquiring Koch Media in 2018, the Austrian company has been busy buying video game IPs, including the likes of Kingdoms of Amalur: Reckoning and Alone in the Dark, amongst others. And THQ Nordic recently revealed that it had acquired Warhorse Studios, a developer from the Czech Republic which rose to fame last year with the release of Kingdom Come: Deliverance. This is a role-playing game set in the Middle Ages, and was praised for its realistic depiction of the 15th century, engrossing story and characters. Warhorse Studios’s game was also controversial, though. This was partly due to the lack of diversity in the game world (only fair-skinned people were seen wandering the streets of Bohemia in Warhorse Studios’ game, you see) and also due to the game’s treatment of women. 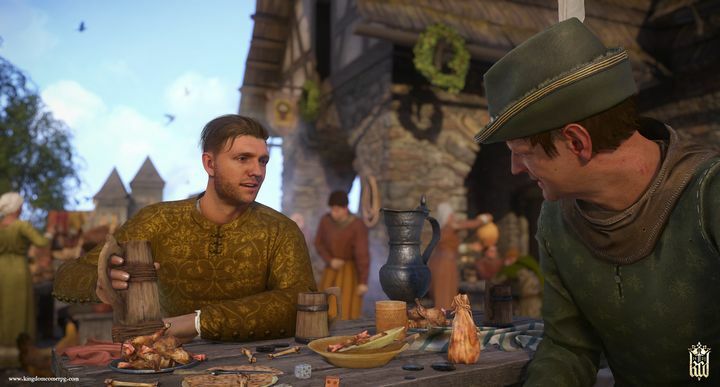 Like 2015’s The Witcher 3: Wild Hunt before it, Kingdom Come: Deliverance was accused of sexism, with women being portrayed as submissive housewives and servants and little else. It brought back the issue of video game sexism, which is still a problem in the video game world. This did not prevent the game from selling 2 million copies though, something which no doubt attracted the attention of THQ Nordic and Koch Media (which published Kingdom Come under its Deep Silver label), and have now brought the Czech studio under their wing. “Warhorse Studios is one of the leading independent studios in Europe and I am proud to welcome them to the THQ Nordic group. Kingdom Come: Deliverance, which has now sold over 2 million copies, has been a great success since the release exactly one year ago. I look forward to continuing to witness the owners run the studio and drive the creative process for many years”, said THQ Nordic’s CEO Lars Wingefors. Warhorse Studios chief Martin Fryvaldsky was also delighted with being part of THQ Nordic, saying that this was “an important milestone for our studio”, also adding that the “backing by THQ Nordic and Koch Media will give us an extra push in our mission to bring exciting games to our customers and extend the frontiers of the gaming industry”. Warhorse Studios also highlighted what a serious undertaking making Kingdom Come: Deliverance had been, with the game featuring a script over 2000 pages long and 45000 lines of dialogue, amongst other highlights. And being part of THQ Nordic will definitely give Warhorse Studios an opportunity to develop another massive, spectacular RPG like Kingdom Come: Deliverance, so here’s hoping the studio’s next project really turns heads when it comes out sometime in the future.